It’s January in Texas and temperatures are right for red worm cocoons to hatch. Temperatures will dip just below freezing at night on occasion, but right now it’s 60F. Red worms will do fine from 40F-80F. Mine are kept at a pretty constant 60F this time of year, and they are doing wonderful. I snapped this picture early this morning as I peeked under the lid of one of my starter farms. Kyle, I purchased a starter box of worms about a week ago from you and just today got to start planning their new, bigger abode. I shredded cardboard and tissue paper, added small dead leaves and a couple of shovels of sandy loam. Then threw in shredded lettuce, onions, sweet potatoes, crushed egg shells, chopped orange and misted with water until damp. It looks rough and chunky. Is this okay to put my box of red wigglers in to make more worm castings? That will work, as long as, you add the worms w/ the bedding I provided. They will be able to eat the chunkier organic matter as it breaks down. I would take out about half the contents of the bin you got from me, and place in your new bin, and then replace what you took out with food scraps. Now you will have two bins! If you only want a single larger bin, dump all the contents into your newly prepared bin. The worms will migrate on their time, and will work on the new food when they are ready. Sandy soil is good additive in small amounts, the sand will provide the grit needed for the worms to grind their food. 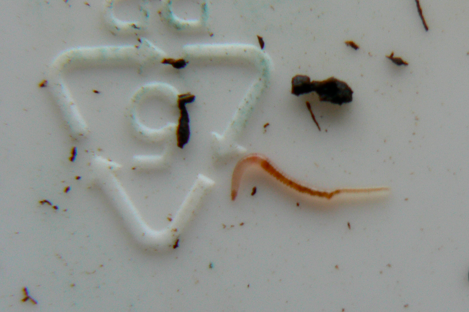 The red wigglers however, are not soil dwellers like their european nightcrawler cousins. Red wiggers prefer decaying piles of organic matter, and we want to replicate the manure and dead leaf piles that they inhabit in naturally.